The Handmaid's Tale is a book I read about a decade ago before the hit show. It is a scathing satire of how extreme belief can create a world of terror in the name of what is supposed to be good, God. The story is told through the eyes of Offred who is one of the fortunate or unfortunate women who is still able to bear children. These handmaids have been separated from their families and become the vessels for children for the leadership of Gilead. Through startling descriptions, Margaret Atwood creates a world in which women are no longer equal and society is ruled by religion through man. The horror of what people can do to one another in the name of good is shown through eloquent prose in the book and fantastic cinematography in the show. This, too, is another story showing the strength of the human spirit to prevail even in the direst of circumstance. 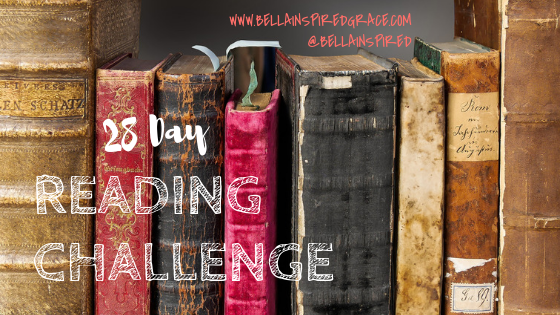 Until tomorrow in Day 4 of the Reading Challenge!